Based in Dublin in Ireland, Edel has been working as an interior designer and feng shui practitioner since 1997. 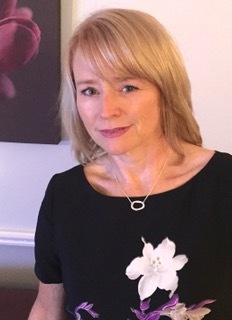 A graduate of the Dublin Institute of Design, and of the professional practitioners training of the Feng Shui Network International, Edel provides feng shui design consultations nationwide. Her expertise includes both classical and modern feng shui modalities, her commitment to continuous professional development in all areas of feng shui design is a life-long pursuit. Edel has extensive experience providing feng shui design consultations for both domestic and commercial interiors. This includes large corporations, small family run businesses, professional practises, and family homes and apartments. Her consultations encompass a broad spectrum of modalities including feng shui astrology, the clients own energetic signature, the energy of the site of the building, the layout and orientation of the building, layout of furnishings, colour, elemental flow etc. Edel’s feng shui consultations include all preliminary work done prior to the consultation date, the feng shui consultation on the day which generally takes 2-3 hours and a full written report afterward. Consultations are tailored to suit the individual client and circumstance.For a more detailed description of her consultations please click here. Where clients are planning remodelling or redecoration, Edel can work with her clients on an ongoing basis to ensure a seamless blending feng shui with the interior design of the space to best support the clients own energy. Edel also works with clients who are selling or renting their properties to maximise their potential sale price/rental income. Edel provides Feng Shui Design talks and workshops in the Dublin area for the general public, interior design groups and for corporate events. Edel is featured regularly in local and national media and is published in several complementary health and interiors magazines and newspaper supplements on a regular basis. It is her passion to introduce Feng Shui to the general public and show how relevant, practical and empowering it is for all of us in our modern and often stressful work and home lives. For more information please visit www.fengshuidesign.ie and sign up to our regular newsletter.